Oil and gas electrical connector specialist Rampart Products has specified VICTREX HT™ polymer for a new HPHT (high pressure-high temperature) KTK (Kintec) electrical connector for the efficient and safe transmission of power and data during the drilling process. Used in oilfield equipment, the reliability of the multi-pin connector is crucial to reducing costly downtime. The material as well as the connector has been tested beyond industry standards in real-world environment simulations. During material selection and the development of the moulding process, both companies worked closely together, enabling Rampart to introduce its first connector using VICTREX PAEK polymer. As oil reserves continue to be depleted, the industry is being forced to find oil in unconventional places that can expose equipment and components to higher temperatures and pressures as well as aggressive corrosive elements. The new connector had to be rated for temperatures beyond 400°F (200°C) and pressures at 20,000 psi (1380 bar) providing also a reliable electrical connection while protecting expensive sensors and electronics. Additional requirements included compatibility with industry-standard pin patterns, extended mating cycles and assembly efficiencies. To prove the reliability of the multi-pin connector made with the Victrex material, Rampart gained data from using a new test vessel. It allows real-world operational settings to test the performance at both high temperature and high pressure simultaneously in a precise manner. 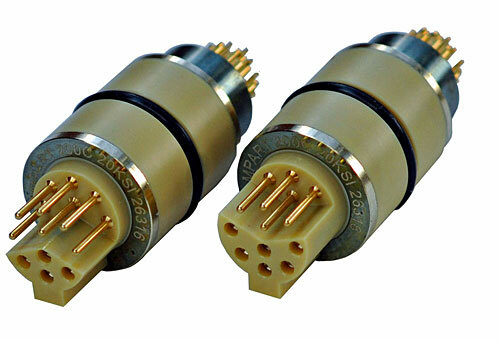 Alternative evaluation strategies might typically be to test the connector at an appropriate temperature but at minimal pressure, or at high pressure and room temperature.